Show Stopper Solterra Home with an Unbeatable Panoramic Mountain View! 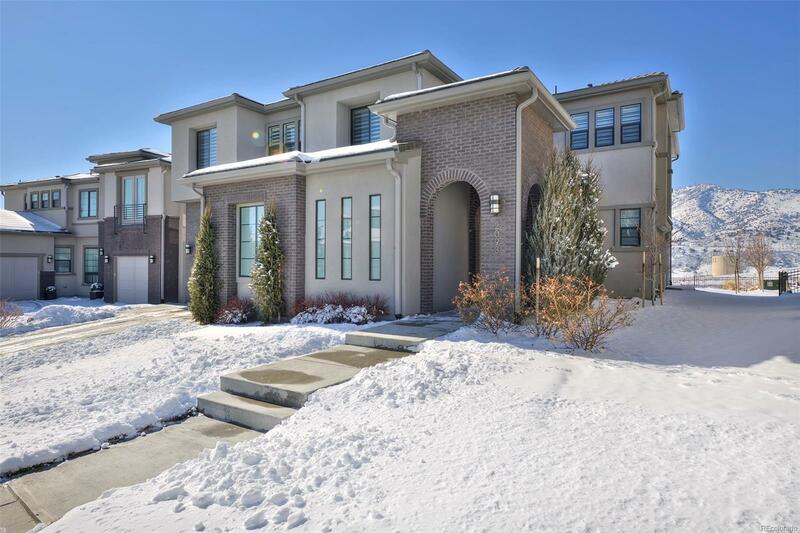 Built by Infinity, one of Denverâs premier builders, the layout & finishes of this modern home are impeccable. The main floor immediately makes a statement with its 20ft ceilings, wide plank hardwoods & huge windows. The gourmet kitchen features Wolf/Subzero Appliances including 2 dishwashers. Access the outdoor patio & gas fireplace through floor-to-ceiling multi-slide doors with a panoramic view of the foothills. The luxurious upstairs master suite has a 5-star hotel feel with 5 piece bath & 2 huge walk-in custom California Closets. 2 more bedrooms upstairs each have en suite baths & walk-in closets. The finished basement features a 2nd entertaining area, wet bar, large workout room, full bath & 4th bedroom. Plenty of storage in the oversized 3-car garage with racks, cabinets & coated epoxy floor. All this plus a fantastic location - just a 2 min walk to The Retreat at Solterraâs pool & community center!